The Beechcraft Baron is a light, twin-engined piston aircraft. 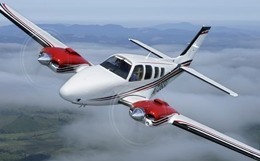 It is a variant of the Beechcraft Bonanza and features some design commonality with the Bonanzas. The Baron G58 was introduced in 2005 and is currently in production. 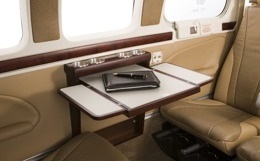 The G58 features Garmin G1000 glass cockpit avionics. For more information about chartering, leasing or buying a Beechcraft Baron please contact us by calling +44-20-3874-8091 or send us an email here.